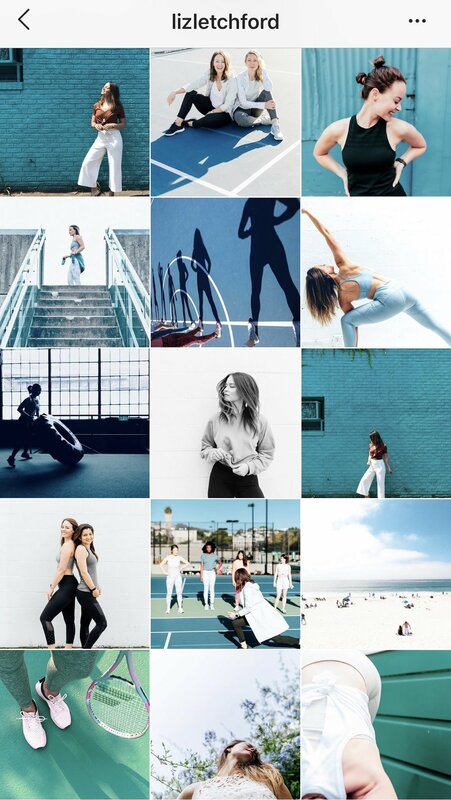 I LOVE me some Instagram, and what I love even more is when I find other fitness professionals who are breaking the mold of #fitspo (that’s fitness inspiration FYI) and making my day with their fitness inspired feeds. I tried to find someone (Google) to tell me what the Best San Francisco Instagrams are, but since I couldn’t find the answer on the internet, I wrote the answer myself! Qualities that I was crossing my fingers for were consistency in content, valuable information being shared with their audience (ie workout videos and fitness education), and doing something DIFFERENT than your typical Fitspo trainer! These are my Top 11 Picks, based solely on my own opinion and what I think benefits my audience. #1 @haleyshevener World, get ready for Haley Shevener. She’s here to question all the exercise BS and offer you the tools to create your own journey to authentic health and wellness. She specializes in post-natal fitness, kettlebell workouts, and female athleticism. Every post on her feed will have you nodding your head, laughing out loud, and realizing this woman is one of the smartest people in the fitness industry. #2 @kamellemills Be careful when you click on Kamelle’s instagram, because you’re about to see what a really fabulous fitness life looks like. Every message he gives is beautiful and inspiring. Every bedazzled, feathery, colorful outfit he wears makes you wish your wardrobe looked as amazing. He’s doing great work in the San Francisco community, and I’ve heard his SoulCycle classes are out of this world. He is also much better at wearing red 8 inch heels than I will ever be. 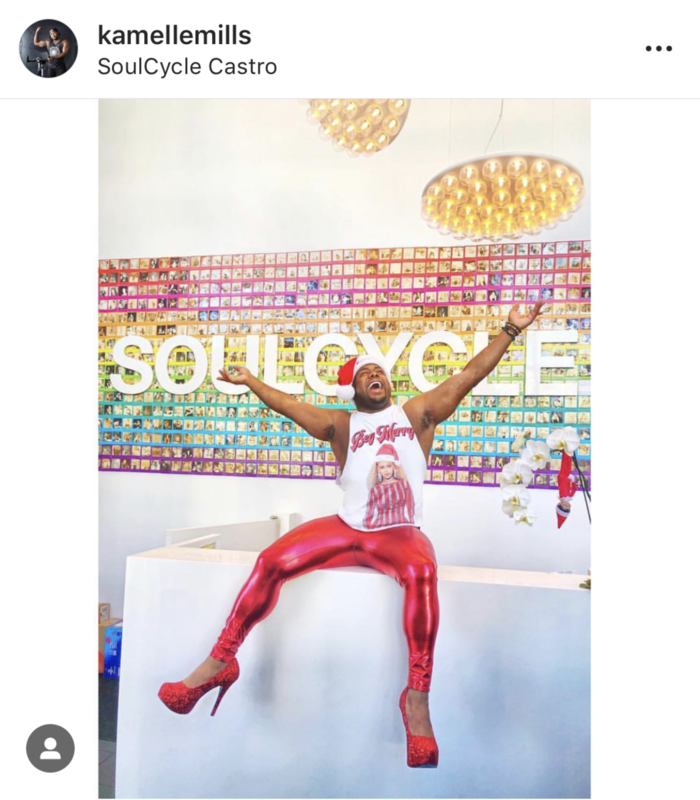 #3 @thequeergym While technically in Oakland, I’m counting this rainbow-hued, inclusive, LGBTQ welcoming account because they are delivering so much great info on their feed. You’ll find pictures of actual clients, humor, helpful information about their gym, and it’s just so refreshing to look at a gym feed where every image makes me want to be a better human. #4 @barbellblondie Well of course I’ve gotta give love to my sunflower yellow, crop top sporting, body positive fitness account. My feed is about making fitness inclusive and accessible to all bodies and I aim to deliver content that will add value to your day and put a smile on your face. I think there’s more than one way to exercise and that healthy has more than one look, and I’m here to showcase that in every way I can think of. Added bonus; sometimes I make my cat workout with me. #5 @confidanceiskey Shonna Chiles is San Francisco’s answer to Beyonce. That’s a bold statement, but she’s a bold lady! I love watching her dance videos over and over, and soaking up her confidence through the ‘Gram. You can follow along with her dance moves by either werking it out in front of your bathroom mirror after repeatedly watching her vids, OR you can just go take a class with her. #6 @tony.comella Get ready to learn in Fog City AND the East Bay! Tony is a Doctor of Physical Therapy and every week during his commute across the Bay, he’s sharing knowledge about how to keep the entire body pain and injury free. He has a super inclusive approach to fitness, in that he doesn’t think there’s one right answer for everything. Quality physical therapy isn’t available to everyone, but Tony’s instructional videos and explanations are a huge library for anyone looking for suggestions on improved movement. 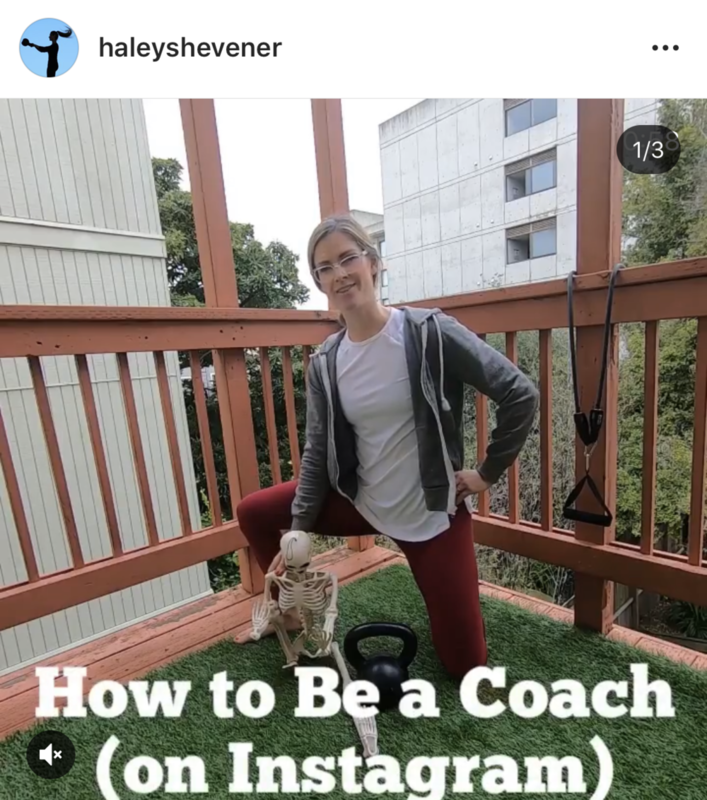 #7 @shaunaharrison Seeing Shauna’s Oakland based-urban yogi-outdoor warrior feed for the first time years ago made me realize that THIS is how to run a professional fitness Instagram. Her mixture of workout videos and gorgeous scenic shots of her in impossible yoga poses shows so much love for the Bay Area indoors and outdoors, and it’ll inspire you to get outside your comfort zone and look at our city through a different lens. #8 @tieri_training Angela Tieri is an incredible marathon runner, and she shares everything she learns from her dedicated training to as many other runners as possible. Her exercise videos are geared towards spreading the wealth of knowledge she has about being the strongest, fastest, injury-proofed runner you can be, plus lots of opportunities to join in with her on a run! #9 @wlovekate New to San Francisco, Kate is helping to spread the message of Body Positive Fitness that she started standing up for while she was a group instructor in Thailand. Her message of exercise as self care and learning to love yourself is super relatable, and it feels like you’re getting a big hug every time you see one of her posts. #10 @lizletchford If you live in San Francisco, you either know Liz, or you know someone who had their life changed by Liz. Currently getting her PhD in Kinesiology and Rehab Science, her instagram feed may be one of the most beautiful feeds out there. Stunning shots paired with exercise science get sprinkled in with mood boosting messages, all of it color coordinated by this beautiful on the inside and out woman. 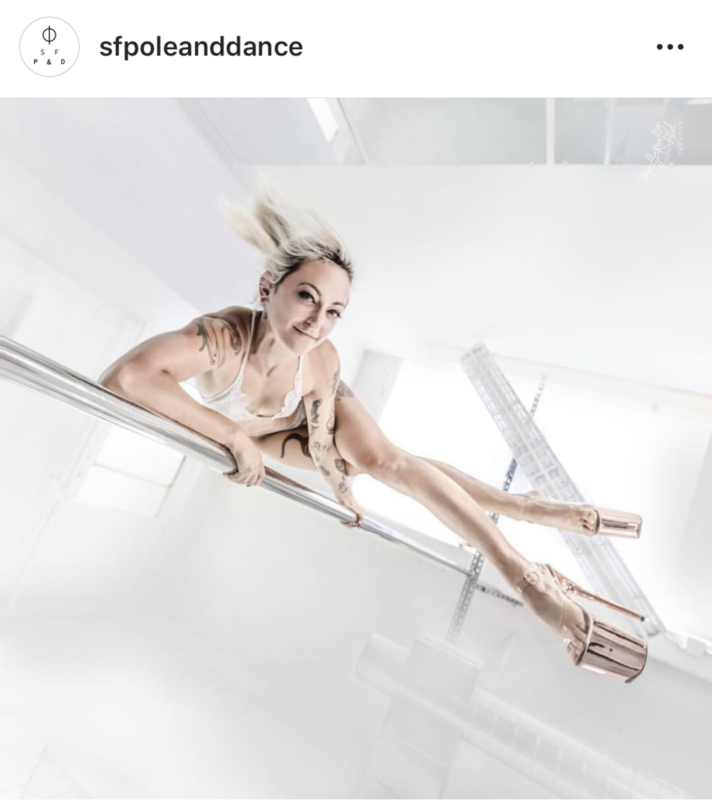 #11 @sfpoleanddance What I love about this feed is that the pole dance studio doesn’t just showcase it’s amazing teachers, visiting instructors, and super advanced classes, it also shows a wide range of its students practicing and mastering all levels of pole dance tricks. This is so important because fitness can already be intimidating to a newcomer; to see that everyone is celebrated here is a relief.